The latest How America Saves report from Vanguard was released this month and it showed that the average (median) 401(k) account balance was $96,495 ($24,713) in 2016. The latter is actually down 6 percent compared to 2015 and therefore at first glance may seem disappointing considering that the S&P 500 jumped by almost 10 percent last year. However, the report’s authors attributed this in part to the rising adoption of automatic enrollment. Indeed, auto-enrollment results in more individuals saving but also a growing number of smaller account balances, which can weigh down certain statistics. For example, the average 401(k) balance has risen by 23 percent since 2007 while the median account balance has actually declined by 2 percent. One way to address this is to only look at continuous 401(k) participants (those with a balance at year-end 2011 and 2016). Their median account balance has surged by 121 percent over the past five years, and more than 90 percent of continuous participants saw their account balance rise during this period. Such figures highlight the significant wealth creation that is possible when ongoing contributions are combined with healthy market returns. 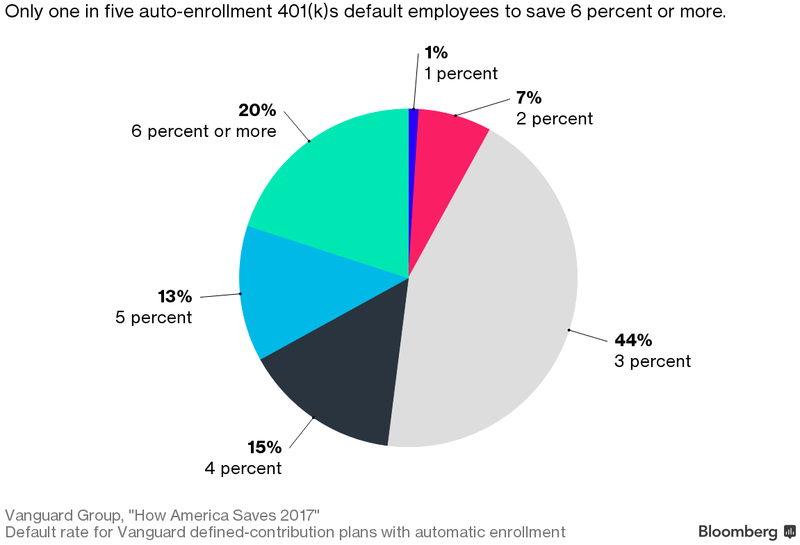 The report’s authors argued that the increased adoption of auto-enrollment has also hurt 401(k) account balance statistics recently because most plans start their workers with what is generally considered by industry experts to be an inadequate default contribution rate of just 3 percent. Many sponsors, though, have started to incorporate automatic escalation, or expressed intentions to do so, which should eventually lead to a faster rate of growth in 401(k) account balances. For participants without a satisfactory deferral rate, especially among those individuals who do not begin contributing to a retirement plan until later in life, achieving old-age financial security could prove to be quite difficult. Further, the belief that Social Security will be able to make up for any savings shortfalls could also be dangerous because a survey conducted by the Nationwide Retirement Institute found that roughly a quarter of recent retirees said that their benefit from the government ended up being “less or much less” than expected. A third of respondents already retired for at least ten years were similarly disappointed with their realized Social Security benefits. An early retirement is often a cause for a reduced Social Security payout, and 23 percent of surveyed retirees said that they would delay when they start claiming benefits if they had the opportunity to do it all over.